I recently bought a small book of Haiku poetry. I don't know much about Haiku, or poetry in general, but I was interested to find out. When I was in the shop, there were only three books on the subject. 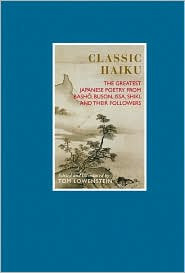 One was too specific, the other two were general introductions to Haiku, and both contained poems by the same authors. Two books, very similar content, similar price, how to choose? One book was a paperback with plain pages and simple text. The cover was also plain. The other book was a hard back with glossy pages and photographs of wilderness scenes from Japan. Some of the pages that contained the poems were coloured red. In principle, I was buying a book of poems, and either book would be suitable. However, I found myself tending towards the hard back book with coloured pages, so I bought it. I've had the book for a few days now, and I've noticed that I get huge amounts of pleasure opening it and reading a verse or two. Something about the design of the book affects me as I open the pages, before I've even read a single word. I thought about this, and I realise this effect could be linked to my manifesto, and even to the software I develop. I'll explain. I've come to realise a little late in life that humans are a complicated bunch. When you try to manage them, if you only look on the surface, at the procedures they perform and the words they say to you, then you won't manage as effectively as you could. The number of different factors that affect how a person feels is huge. As managers, we'll never be able to see all of them, but we can extend our vision to include a few more than we currently do. Take the office environment for example. It's impossible to measure the effect it has on someone if they have spare parts or rubbish kept in their office. They may not complain about it, but that doesn't mean that it isn't eating a little happiness away. Similarly, the noise, temperature and light in an office is a permanent factor affecting how people feel. Most employees simply put up with it, or don't notice the effect it's having. However, if you can improve it, then you may notice the odd extra smile, a slightly more relaxed posture, or even just a happier tone in the voice. These aren't miracles, but what we're talking about here are small increments of improvement which added together make a difference. These ideas may all sound a little vague and soft. You may find yourself asking how you could even begin to identify these issues. My advice would be to do as I did with my Haiku book, and see if you can identify something in your life that is giving more than just utility. Try to identify that extra feeling it gives, and then hold on to that experience. That's what you're searching for in any changes you make at work, and you may need other people to do the same thing in order to help you. One thing is certain, you have to loosen the purse strings a little and invest in making this happen. Hi Vicky, I don't suppose google have some spare cash and designers to come and make over our office? Just kidding - although a great idea for a reality TV show - "google makeover". Our problem is that we bought cheap desks several years ago. That's a terrible mistake, because no matter what chairs you buy, you're never comfortable. I think I might need to get the jigsaw out. Sorry Mark! But a few lava lamps and beanbags could go a long way ;) And if you let people bring their dog to work you're 90% there! You've still got the footy table haven't you? Gold fish on every desk. Even better... a shark tank!!! You wouldn't need one for every desk, just one for each team maybe. Right now, I'd just settle for it not reaching 100 degrees in the afternoon. It's not even summer yet!